TNPSC released online notification to recruit total 1953 vacancies in various posts like Accountant, Assistant Director, and other TNPSC Post Assistant and Lower Division Clerk Recruitment 2018 vacancies. Applicants who are looking for the job in government sector can apply for the posts before the last date of application. Candidates who want to apply for any of the posts in Tamil Nadu State Public Service Commission must read all the details regarding the posts like Age, Qualification, Pay Scale, Job Location, Instructions etc. from the official website of the TNPSC or you can also read this complete article to get all the information about the TNPSC Post Assistant and Lower Division Clerk 2018. 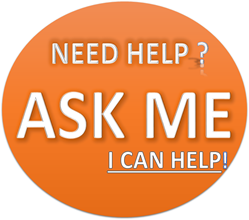 In this article we have provided all the details which may help you before applying for the exam. All the candidates must apply for the TNPSC Post Assistant and Lower Division Clerk Recruitment 2018 before the last date of submission that is, 26th May 2018(expected dates). The selection will be based on the marks obtained in the written examination. TNPSC also known as Tamil Nadu Public Service Commission is a government department in state of Tamil Nadu which works for recruiting the deserving and hardworking candidates in various departments of state government. Every year TNPSC released large number of TNPSC Post Assistant and Lower Division Clerk Recruitment 2018 to fill the vacant seats for different posts. Large numbers of candidates appear for the exam but only few candidates get selected who will able to qualify the exam with good marks. Education Qualification – Applicants must have passed graduation or any equivalent degree from any recognized university. Candidate should also have computer knowledge in English and Tamil Language. Age Limit – The applicant must attain 18 years of age and should not exceed 30 years of age to appear for the exam. Selection Process: Candidate will get selected on the basis of Written Examination. Now finally apply for TNPSC Post Assistant and Lower Division Clerk Recruitment 2018 and check main-main details including notification and furthermore vacancies details for TNPSC Post Assistant and Lower Division Clerk Recruitment 2018. How to apply for the TNPSC Recruitment 2018? Applicants first visit the official website that is, www.tnpsc.gov.in. Now on the home page search for notification link. Read all the instructions before applying for the exam. 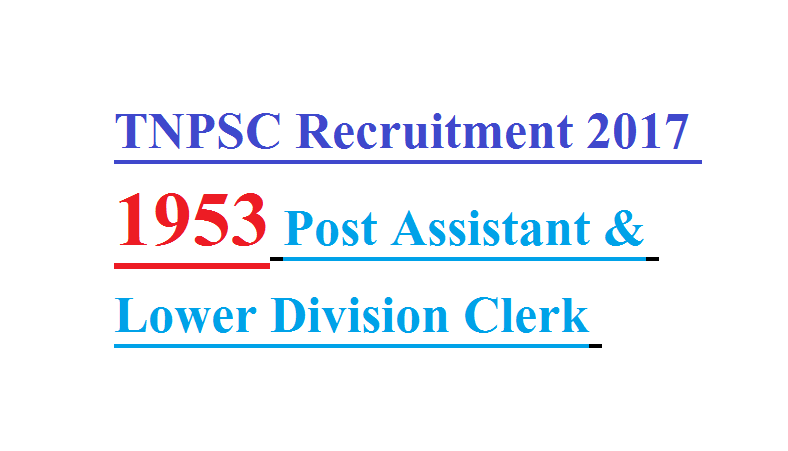 Then click on the link ‘TNPSC Post Assistant and Lower Division Clerk Recruitment 2018. Kindly fill the application form with appropriate details. Check the details again. Also upload your recent passport size photograph and signature with required format. Now pay application fee and finally send the application. Download and take print out of TNPSC Post Assistant and Lower Division Clerk Recruitment 2018 application form for future use. Visit tnpsc portal and know each and every important detail info regarding TNPSC Post Assistant and Lower Division Clerk Recruitment 2018 and other vacancies. Get major news info from TNPSC Portal.